Unlike many other juicing trends, this one is totally affordable. Kathie Lee Gifford has taken up a new juicing trend in the mornings, but unlike many fussy detoxes, her new favorite beverage only involves one veggie that's incredibly easy to find: celery. “This is my new kick!" Kathie Lee declared on Tuesday, as she sipped on the newest addition to her diet alongside a very skeptical Hoda Kotb and guest co-anchor, chef Bobby Flay. Kathie Lee’s daughter, Cassidy Gifford, and friend, Lauren Scruggs Kennedy, turned her onto the hip trend back in August. Both women praised fresh celery juice for supposedly helping with digestion, among other purported health benefits. Since the summer, Kathie Lee has been sipping on this green stuff (which is really just pure celery in liquid form) before she starts her day very early in the morning. Of course, food trends come and go, but is celery really some type of miracle health food? 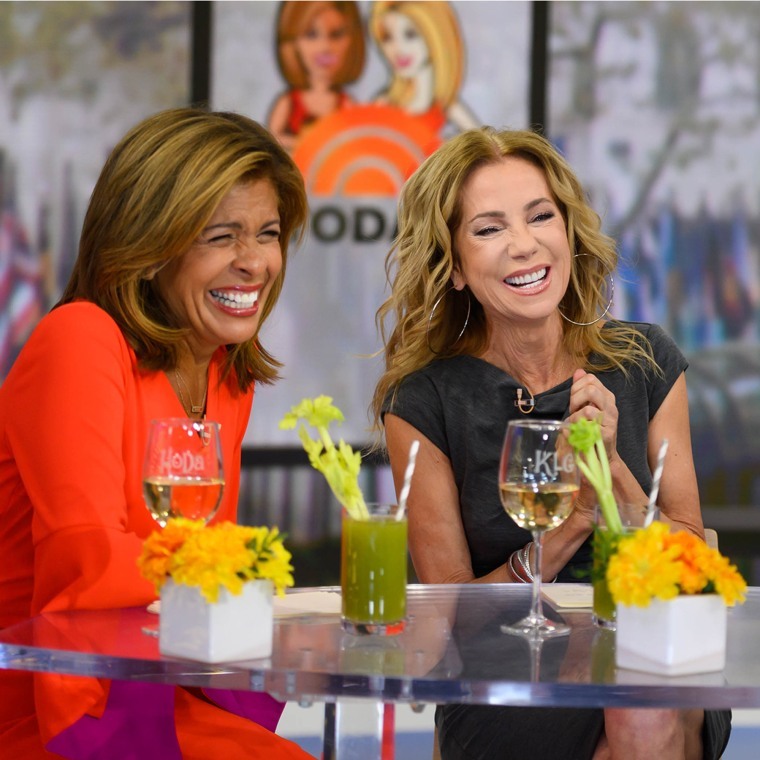 According to Frances Largeman-Roth, a registered dietician and nutritionist, Kathie Lee is actually on to something with her new favorite juice. With just 14 calories per cup, chopped raw celery is certainly low in calories. And that single cup also contains 30 milligrams of vitamin K, 36 milligrams of folate and 263 milligrams of potassium (for comparison, a medium banana has about 420 milligrams of potassium but 14 grams of sugar). To put things in perspective, Largeman-Roth acknowledged that all of these nutrients are good, but it's not as nutritious as darker green veggies like asparagus or kale. In terms of the juice’s use as a digestive aid, however, Largeman-Roth said that it’s just as good as water. A celery stalk is about 95 percent water, which “is essential for healthy digestion” according to the nutritionist, but, unfortunately the stalk loses its fiber content when you juice it, so she recommends eating the whole stalk for a snack or finding another way to eat the pulp. “If you add it to a smoothie, you keep the fiber in,” the New York City-based nutritionist told TODAY Food. She recommends The Golden Rule smoothie, which allows the celery to retain its fiber content along with all of its other de-bloating powers. TODAY nutritionist and cookbook author Joy Bauer is also a big fan of the crunchy green veggie and adds celery to plenty of her recipes, too. Joy calls celery stalks the “perfect dipper” for her delicious lentil-hummus spread. Although Kathie Lee might be better off grabbing this veggie off a crudite platter or putting it into a smoothie, there’s nothing wrong with giving this low-calorie, yet totally hydrating, trend a try. Even Bobby called the drink "very refreshing." Ultimately, if juiced celery makes you feel better, it’s much better than a sugary alternative.